This Miyagawa variety are very juicy, with the perfect balance of sweetness and tang. 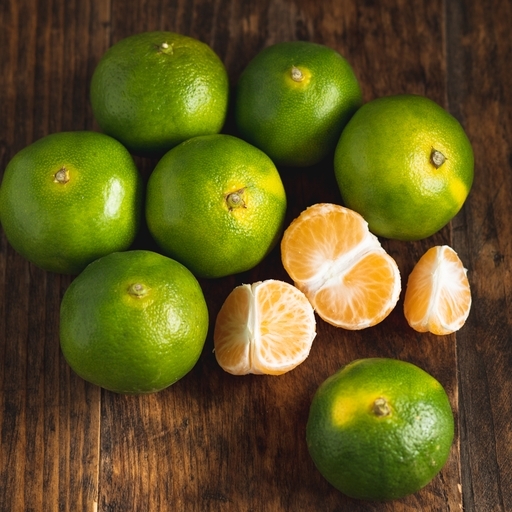 The contrast between the green skins and the bright orange flesh makes them our favourite satsumas. Satsumas are a seedless variety of the Mandarin orange. They have a thinner skin than other orange varieties, making them easier to peel. Natural packaging at its best – ready wrapped, easily opened, and no need for a knife.